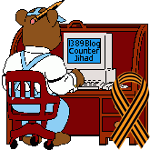 Juan Williams: It’s Time to Defund NPR — 1389 Blog - Counterjihad! 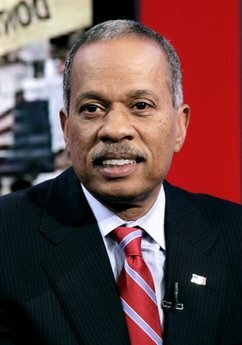 Fox News commentator Juan Williams (formerly of NPR) has finally acknowledged just how corrupt and ruthless the liberal media and its supporters actually can be. Though Williams is still a liberal himself, he is not a doctrinaire liberal, in that he has been open to reconsidering his previous viewpoints when new evidence comes to light. I believe that he is, at heart, a decent human being. With that statement, Congressman Israel made the case better than any Republican critic that NPR is radio by and for liberal Democrats. He is openly asking liberal Democrats to give money to liberal Democrats in Congress so they can funnel federal dollars into news radio programs designed to counter and defeat conservative Republican voices. Rep. Israel has unintentionally endorsed every conservative complaint about NPR as a liberal mouthpiece. And to me, as a journalist, it is also a statement of why NPR’s troubled management team has turned its fundraising efforts into a weapon to be used against its essential product — top quality, balanced reporting. No journalist should have to work with one finger in the political winds, anxiously waiting to see if Democrats continue to be pleased with what they hear on NPR as a counter to what they don’t like hearing from Rush Limbaugh. But, wait, there might be one better argument for ending federal funding of NPR. Liley’s revealing comment and Schiller’s arrogance are instructive because they provide a window in to the culture of elitism that has corroded NPR’s leadership. They’re willing to do anything in service of any liberal with money. This includes firing me and skewing the editorial content of their programming. If anyone challenges them on this point, they will claim with self-righteous indignation to have cleaner hands than the rest of the news media who accepts advertising revenue or expresses a point of view. I’m not just talking about conservatives but also the far left, the poor — anybody who didn’t fit into leadership’s marketing design of NPR as the elitist voice of comfortable, liberal-leaning, highly educated, upper-income America. Read the rest on The Hill. Juan Williams believes that the funding that NPR receives directly from the federal government is far more important than the indirect government funding received via the stations in the network that run NPR programs. I am not at all convinced of that. Be that as it may, I say that it is time to end all taxpayer funding, whether direct or indirect, of television or radio broadcasting networks or stations.